Cryptocurrency has been a buzzword in the market since its inception, it has been 10 years of their existence and cryptocurrencies have created their own conviction including entities such as the aura of anonymity and transparency. The underlying technology of cryptocurrency, Blockchain has been widely appreciated and adopted by several sectors. It has always been a fascinating subject for people, however, the cryptocurrency market has experienced unprecedented volatility. The amount of fear, uncertainty, and doubt is rampant and continues to grow. There is no doubt that the technology of cryptocurrency and blockchain is here to stay, but the current battle against opponents is like a pendulum swinging. Well, this revolutionary technology is still in its infancy and that it has found its mark before settling firmly with some form of stability. So, whoever arrives early or even recently, are the lucky ones. Decentralised Fundraising through ICO’s, PCO’s and STO’s are the biggest trend in cryptocurrency today, Millions of Investors considered it as a good start. The amount of money that the ICOs have raised in the last two years is really amazing. In 2017, the ICOs raised a total of $5.6 billion. If that sounds shocking to you, then think about this. However, lots of scammers have entered this space hoping to make quick money. They simply create a fake white paper or omit some of the most important details from whitepaper to make their projects seem more important and intricate than they really are. 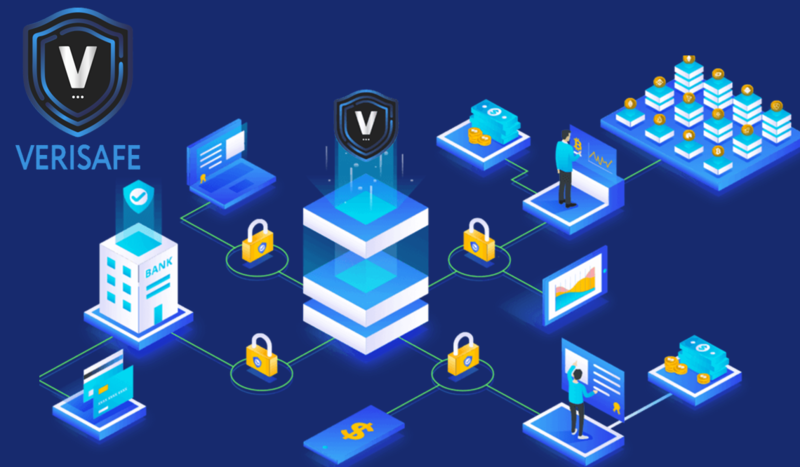 VeriSafe uses decentralised technology on its platform to bring transparency, accountability, communication, and expertise within the crypto ecosystem to help prevent frauds and scams. VeriSafe is rebranded from Cpollo, with the purpose to offer a simpler, safer and more efficient way for customers and businesses to take part in Initial Currency Offering (ICO), a Parallel Currency Offering (PCO), or other similar initial distribution techniques. This also offers new projects the advantage of the transparency and resources of the VeriSafe platform. Their web-app will also include a “hire” option for accredited users, where freelancers can post their resume and join a potential project or even freelancer can earn additional income. VeriSafe offers features like the new ERC-20 token (VSF), and a new VSF desktop wallet with a web wallet. VeriSafe is currently available at Stex, Coinbene, Idax, Bleutrade, and Mercatox. The roadmap ahead shows an introduction of a decentralised exchange/distribution service, where it is hoped new teams can launch their Initial Exchange Offering and distribute their tokens to the community. With many more features to launch such as Ether purchasing via bank transfer, the platform has plenty of room to grow to become a complete end-to-end service from inception to distribution for new projects. VeriSafe is a project dedicated to bringing more transparency and security within the crypto space and provide additional features for investors and freelancers as well as Blockchain projects.